Locals Charlie Clark and Darrell Mayabb got together and made a book! It’s all fun as Charlie takes his freinds and “Sprinkles Chilie Pepper on them” to make a funny enjoyable adventure in a 40 Ford. It’s published by Flathead Press,LLC. 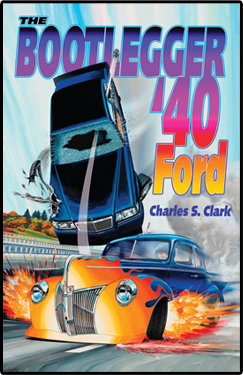 We have 3 copies signed by both the author and illustrator along with posters to give away at the Hot Rod Hill Climb on September 13th, 2014! And Charlie says he will be at the event selling books, don’t miss it!